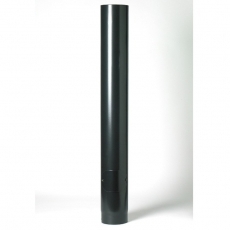 A double skinned flexible flue liner suitable for relining within a masonry chimney. Flue liner is suitable for use with burning gas, oil, coal, coke, cured dry logs, cured dry peat. The flue liner has a smooth inner liner made from 316L grade stainless steel and is 0.12mm thick. 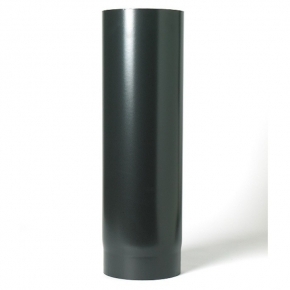 The flue liner has a convoluted outer skin made from 316L stainless steel and is 0.12mm thick. 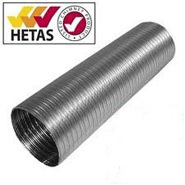 The Flue Liner is constructed from a single strip of steel which is bent at 180 degrees and then the seam is folded in four planes to give a quattrolock seal. 3.Check you pot is in good condition, if you are NOT using a suspended cowl then remove the pot from the stack. Flue Liner should always be fitted from the top. Make sure the arrows are pointing upwards (gas flow). Pull the liner down the chimney using the string and at the same time have someone at the top of the chimney feeding the Flue Liner down, once the Flue Liner is fitted remove the Nose Cone.